SANTA CLARA, CA--(Marketwired - May 31, 2017) - Avaya today announced that it is now offering the globally recognized quality and style of its desktop and conference phones to service providers. In collaboration with BroadSoft, Avaya is making a full portfolio of open standards, SIP-based devices available to service providers that are tested for interoperability with the BroadSoft BroadWorks platform. The Avaya open standards-SIP based desktop and conference phones portfolio provide simple, powerful and affordable endpoints for a broad range of third-party, hosted call control platforms. 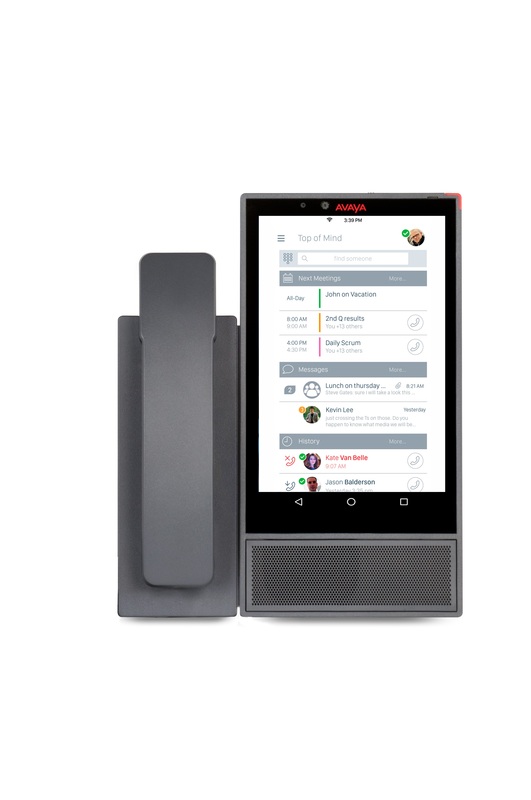 The Avaya portfolio today includes three models: a conference phone, a desktop handset and the sleek, new Avaya Vantage phone that was just announced last Fall. Additional phones will be added over the next year to support use case or job functions. The phones can also be customized with co-branding or white labeling with the service provider's name and logo. "Avaya's phone portfolio is known for high quality audio and security throughout the world. As growth in UCaaS offers via third party service providers continues to climb, this is a natural move for us and a great opportunity for them to increase value to their customers by offering a premium portfolio at affordable prices. Working with BroadSoft has been an excellent experience and we look forward to leveraging our mutual market leadership as we expand into this arena." "Avaya has a strong global market presence. The new line of phones will be a great choice for customers who want to migrate to cloud communication services Powered by BroadSoft." "The open SIP phone market continues to considerably grow year-over-year triggered by deployments in hosted/cloud-based communications and the need of businesses to secure endpoint investments. The jump of Avaya into this growing market, with the launch of a powerful, yet simple open SIP device offering is definitely a right move from a company which continues to be one of the top leading vendors in terms of IP desktop phone shipment and revenue."